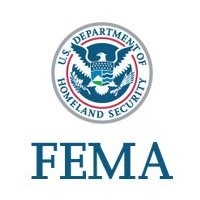 ATLANTA – (RealEstateRama) — The U.S. Department of Homeland Security’s Federal Emergency Management Agency has authorized federal funds to reimburse costs to Florida to fight the Indian Lakes Estate Fire in Polk County. This authorization makes FEMA grant funding available to reimburse 75 percent of the eligible firefighting costs for managing, mitigating and controlling the fires. Eligible costs can include labor, equipment and supplies used for fighting the fire and costs for emergency work such as evacuations and sheltering, police barricading and traffic control. “We are working closely with the state of Florida to monitor the numerous fires. We have approved emergency funding for the Indian Lakes Estate Fire to help save lives and protect property,” said FEMA Regional Administrator Gracia Szczech. The fire started Friday and has since grown to more than 350 acres of state and private land. The fire threatens approximately 200 residences. Federal fire management assistance grants are provided through the President’s Disaster Relief Fund and made available by FEMA to reimburse costs associated with fighting fires that threaten to cause a major disaster. Eligible state firefighting costs covered by the aid must first meet a minimum threshold for costs before assistance is provided.